Whether it’s your favorite spread, delicious jellies or cleaning detergent: comparing different sizes is often a hassle. Use this online calculator to compare different packaging sizes easily and find out which alternative is cheaper. Packaging has no standardized volume. This is due to the fact that there is little regulation, which restricts filling quantities and package sizes. As a result, price comparisons are becoming increasingly difficult and sometimes even impossible for buyers. Good packaging has the following functions: protective function, storage function, loading & transport function, information function, dosing & withdrawal function, and sales function. Survey shows that more than 40 percent of all consumers are worried about not getting hidden price increases at all because the quantities of content are simply hidden on the packaging. Hence, consumer protectionists advise customers who usually use the same products to be particularly vigilant and compare content and prices. Bulk packaging turns out to be a deception compared to conventional smaller packaging. Low-cost large packages, especially in the food and detergent sector, are a widespread misconception, which is why a careful price comparison should always be carried out. Many consumers are increasingly overburdened by the shelves of food retailers, discounters, and drugstores. This is due to the fact that there is little regulation, which restricts filling quantities and package sizes. Packaging has no standardized volume. As a result, price comparisons are becoming increasingly difficult and sometimes even impossible for buyers. In addition, there is also an increased risk that manufacturers will offer their products in a so-called deceptive packaging and thus conceal a deliberate price increase. Sometimes packaging suggesting the volume of a gallon hold less than that, although the price remains the same. Many producers come up with even more tricks to increase profitability and secretly increase margins: they simply keep the so-called threshold prices, such as 0.99 dollars or 1.99 dollars, even though there is now less in the package. Here you can calculate how much they increased their margins when changing prices. The disadvantage for the customers is obvious: Although the new sizes and filling quantities (here you can find out how much volume a packaging could hold) are shown on the packaging, this is difficult for the buyers to recognize. Comparing products is often a nuisance, but is essential to make the right decision. The requirements for food packaging are changing. The packaging industry faces the challenge of adapting the dimensions and design forms to the changing customer groups. Single households usually do not need so-called advantage packs but are mainly interested in buying only as much as they can consume. Families, on the other hand, continue to hope to avoid frequent visits to the supermarket and actively save money through larger quantities. Why does the packaging and food industry develop so many different forms of packaging? Packaging is an essential characteristic for the successful marketing of the product. Both in terms of its external design and its individual adaptation to the different consumer needs. For example, you can find the same product in a normal shelf in a different size than at the checkout desk for more spontaneous buyers or children. Consumers are also increasingly turning to supposedly fresh organic products. The main focus here is on packaging to protect the food from perishability. A “good” packaging must therefore be judged by what functions it fulfills and how well it does. Good packaging has the following functions: protective function, storage function, loading & transport function, information function, dosing & withdrawal function, sales function. There can usually only be compromises. Orange juice, for example, can be filled into glass, beverage carton or PET bottles. It is important to note which juice is involved – fresh or pasteurized – and the type of juice (e. g. orange – very high acidity) is also decisive. Milk is very sensitive to light and oxygen. Alcoholic beverages like beer are also very sensitive to light and oxygen. Carbonated beverages have to be filled differently and packed with a different closure and wall thickness. These many different requirements now only apply to three different types of beverages. If you think about it, or pay attention to how many different products there are when you walk through the supermarket, which have to be protected from water vapour, oxygen, light, external influences (such as vermin) etc. and which have to be durable, easy to open, easy to remove and easy to transport, it quickly becomes clear why there are so many different types of packaging. If you don’t place the different packaging sizes next to each other, the differences in size are usually not noticeable. 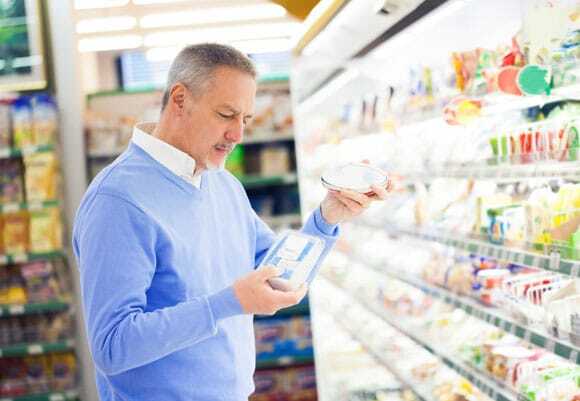 In order to ensure that no cheat packaging ends up in the shopping basket, each customer should check both the filling quantity or weight and the basic price. However, the basic price is often not apparent at first glance. Although by law he has to be on the shelf as a price per unit of measurement, his finding is often like a real research trip. Not up to date, illegible, undercoded, written too low down – these are just a few shortcomings that put the consumer at a financial disadvantage. How have the capacity and size of packaging developed in the past? There are daily complaints from consumers who report hidden price increases. The sales price remains stable, but the filling quantity of the product has been reduced. This is the most popular method. The filling quantity is increased much less frequently and the price is increased disproportionately so that the bottom line is a price increase. In the past, the capacity and size of packaging was based on the shopping and eating habits of consumers in families. With the decline in multi-person households and the greater variety of foodstuffs, there was a desire to purchase smaller quantities. This began at the sausage (read more about meat consumption here) and cheese counters and then continued with the pre-packaging on offer. At the same time, the range of packaging with larger quantities and the possibility of reclosing developed, if the product is not consumed with a meal. One of the most frequently quoted tips on saving from manufacturers and advertisers is the promotion of supposedly low-cost large packages, especially in the food and detergent sector. Typical examples of this are “In a dozen cheaper” or “Cheaper in a gallon pack”. However, it is frightening to see that the opposite is often the case, namely that the bulk packaging turns out to be a deception compared to the conventional smaller packaging. To ensure that consumers are not subject to the widespread misconception that there is always a favorable discount associated with more quantities purchased, a careful price comparison should always be carried out here as well. In addition to filling quantity and weight, it is always worth taking a look at the list of ingredients. Unnoticed by the consumer and barely discernible during use, there are often only minor changes to the ingredients of the products, which can have a considerable effect on their nutritional value and quality. The best example of this is changing fruit content in juices or reducing the amount of meat. Also, the package size and positioning in the supermarket are often chosen with care. In some cases, several versions of the same product can be found in different places on the market. The relation between price and content is usually very different. Why are there so many different packaging forms and materials? Competition between branded goods companies on the one hand and private labels on the other has become increasingly fierce. The differentiation of the offers is achieved both through the graphic design of the packaging and through differentiated design. Optical and haptic elements are of great importance here. The variety of materials is a result of the foodstuffs’ requirements for the protective function of the packaging. In addition to fresh foodstuffs, prepared foods or ready meals are also offered. This results in different sensitivities of the foodstuffs as well as the associated possible quality changes or spoilage scenarios. In addition to strength properties, the packaging also has to provide properties such as impermeability to UV light, oxygen, and water vapor. What efforts are there on manufacturer’ side in terms of environmentally friendly packaging? The goal of making packaging more environmentally friendly is the focus of a large number of companies. This is motivated by the increasing environmental awareness of consumers. At the moment, consumers are not paying enough attention to this commitment. If more environmentally friendly packaging is only slightly more expensive, it will not be accepted. Even when comparing disposable and reusable packaging, it is necessary to analyze the environmental impact of the packaging system in question. Transport distances and cleaning and repair costs play a not inconsiderable role in this. To calculate how much more expensive the more expensive product is, you divide the price difference by the lower price and multiply it by 100%. 5 Why does the packaging and food industry develop so many different forms of packaging? 7 How have the capacity and size of packaging developed in the past? 9 Why are there so many different packaging forms and materials? 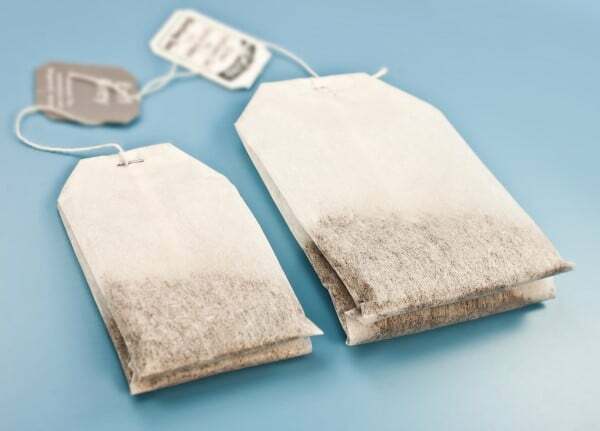 10 What efforts are there on manufacturer’ side in terms of environmentally friendly packaging?